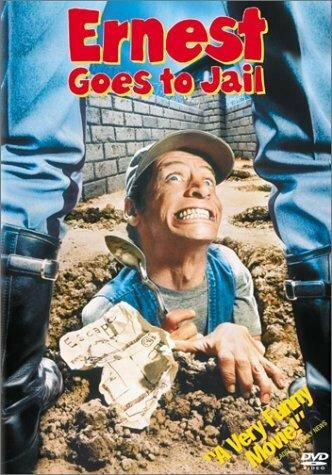 Essential plot rundown: Ernest must find a way out of jail while an impostor has taken his spot. This was not the best made film; but it was entertaining. This film is not for everyone; it has a kind of a humor that some may see as stupid. 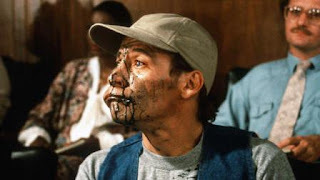 Ernest, along with his security guard buddies, are funny characters and the best part of the movie. The lines they deliver, the way they move make me chuckle. They are quirky, memorable characters. While the above characters are good, that's really about it. The story is nothing we haven't seen before and some of the actors are sub-par. The guards at the jail wear these weird purple jackets. And the climax is dumb, to be honest. So, overall it's not a bad movie. If you like the Ernest character, you'll like this. It's funny; but not a laugh out loud funny, more like a chuckle funny. The plot and everything else is really just there to give a context for these characters to be funny in.